The Ent was clearly not displacement sailing, the 200 was in and out of displacement mode with the kite up. The only workable definition of 'planing' I can think of is when the boat breaks free of displacement mode. This will vary according to hull shape and rocker (and some boats never completely break free). We all know when we are 'planing' by the feel of the boat and the way the wake flattens out. Yup, that'd do it. So how do you know? When the boat lifts partially out of the water, like that Enterprise and the stern wave is clear of the transom? Definition of planing I heard when nobbut a nipper - aeons ago - was a boat overtaking it’s bow wave. That's basically it, and it does so when it exceeds displacement speed, modern low rocker designs transition from displacement to 'full' planing very quickly, old boats like the Ent spend a fair bit of time transitioning (and some would say, never really achieve 'full planing'). • Does one pump per wave or gust of wind initiating surfing or planing? • On a reach body pumping may best be seen from behind and to leeward of the Europe, in order to observe the athwartships body movement and the effect it has on the leach. After the start “S” sailing leads to the most critical breaches of the rule 42 in Europe Class in the run. Europe sailors sailing downwind change course continuously by luffing and bearing away using their bodies to facilitate steering the boat. This is allowed under rule 42.3(a) as long as there are waves and the boat changes course in phase with them. The amount of heeling must be consistent with the amount the boat turns. The best position for judges to observe both the effect of body movement on the boat and any steering by the sailor is from directly astern. • Is the competitor causing the boat to roll? • Is the rolling helping the steering of the boat? • Are there conditions for rolling the boat to facilitate steering? • Is the amount of heeling consistent with the boat’s turn? • Is it linked to the wave patterns? So, 1. Pumping. The second bullet, clarifies surfing but not planing. The 5th bullet says you can’t pump if you are already planing (still no definition of what that is). I get what pumping is. I think I know what planing is, but I don’t know what WS think it is. This seems strange as the RRS go to the trouble of defining “boat”, “mark” and “finish”, all of which seem much more obvious to me. To be liable to disqualification with redress when you may genuinely believe you are not already planing seems a wholly unsatisfactory situation. The situation is a long way from ideal, but not as unsatisfactory as having no rules at all. its clear enough when its definitely not planing conditions, and clear enough when it is, but I see no way that the grey area in between can be anything else. I've seen so many on line arguments as to what is or what isn't "real" planing that it seems to me sensible that the rules don't open that can of worms. I do understand that it’s difficult, but then why not remove the whole planing thing? I’m not suggesting open pumping, but why make the one pump conditional on planing? Why not just allow one pump per gust (ignoring that definition difficulty for now) regardless of surfing or planing? I don’t really see what value including the planing condition adds. Fact is one pump is never enough, it used to work when it was three pumps which was realistic. So you get lots of 'one' pumps linked to become continuous, which imv is against the spirit of what is trying to be acheived. 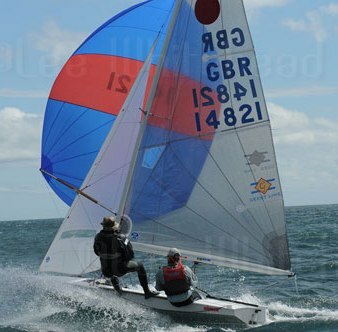 Dinghys, well I've yet to experience one that does, on balance don't plane, they just displace a bit quicker on a wave, if you can get them over the hump. That takes more than just one sheet and it's time the whole thing got reviewed as to what realistically happens in real world condtions when there actually are waves. In other words black flag every inland event, sorry those ripple things you get, that chop, that aint enough to plane or displace a tad faster on. When they are planing, pumping is the last thing you're worried about since it's pretty much survival windstrengths 25 kts plus.